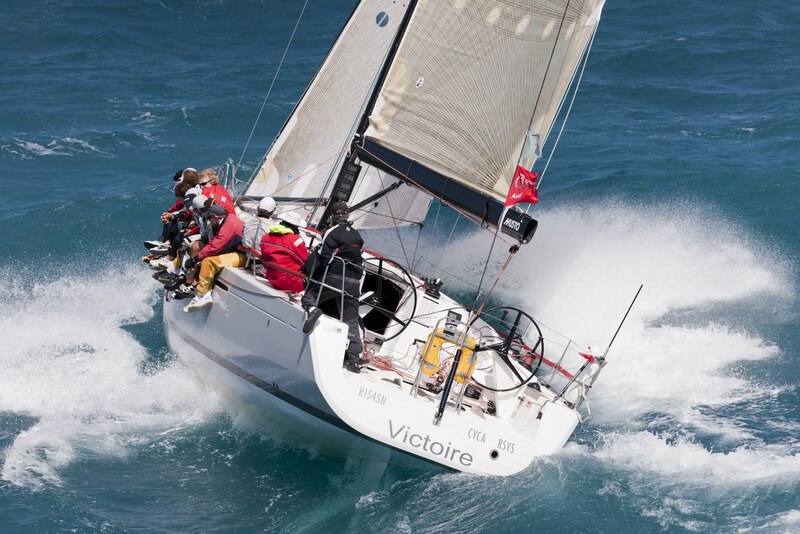 Victoire has all but sewn up success in IRC Class B at Audi Hamilton Island Race Week with today’s fifth consecutive handicap win from six starts. Darryl Hodgkinson's Beneteau 45 sped around the island course in a gusty 18-20 knot south east breeze leaving the competition in their wake. Hodgkinson, a Sydney based plastic surgeon, credits his crew's preparation with particular focus on boat maintenance, sail wardrobe and time on the water. 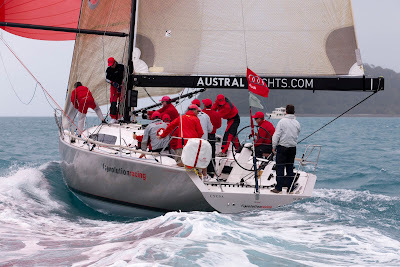 Hodgkinson said his tactician and linchpin, Sean Kirkjian is “a magician on the helm downwind in 30 knots plus.” Kirkjian has been instrumental to the boat’s success this season with divisional wins in the Audi Sydney Gold Coast Race and Meridien Marinas Airlie Beach Race Week. Sistership Paul Clitheroe’s Balance was today shunted out of second place by Ray Roberts’ Evolution Racing, the two are tied on equal points with two races remaining. Beneteau designs make up a quarter of the 195 strong fleet competing in this event.